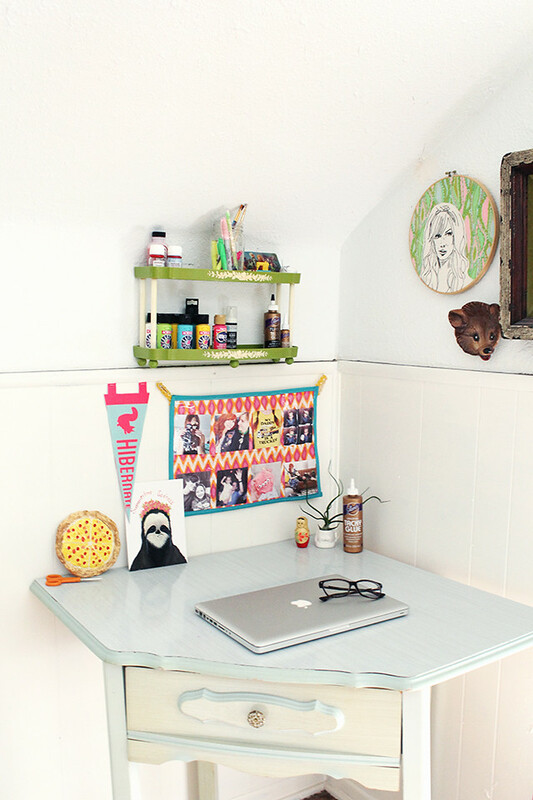 I've been working on fixing up my desk area once again. Change is good, especially when it comes to an area where it benefits you to stay inspired. As I've been collecting things to make my work space a happy place to be, I decided against another bulletin board to hold happy photos. 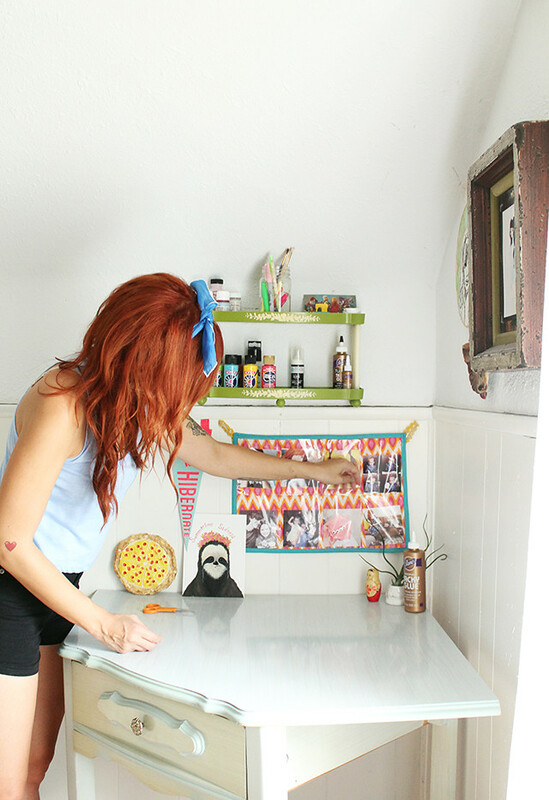 Instead, I came up with a fun and organized way to display some of your best memories. 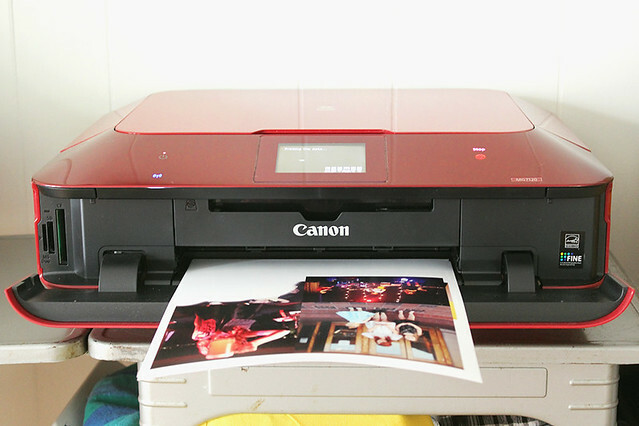 Today I'm working with Canon USA to show you how to make your own! First things first: supplies. 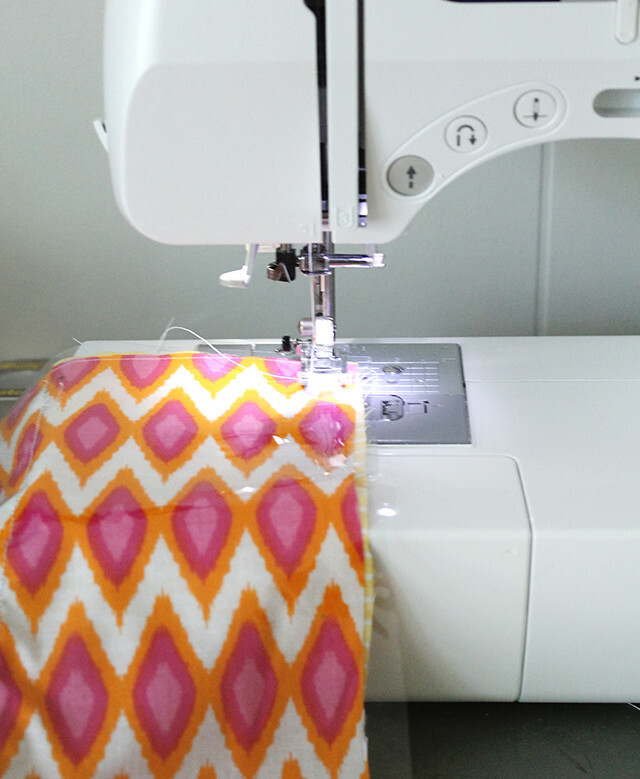 For this project, you will need two different types of cotton fabric, some clear plastic vinyl, double fold bias tape, a measuring tape, sewing machine, and scissors. Let's get started! 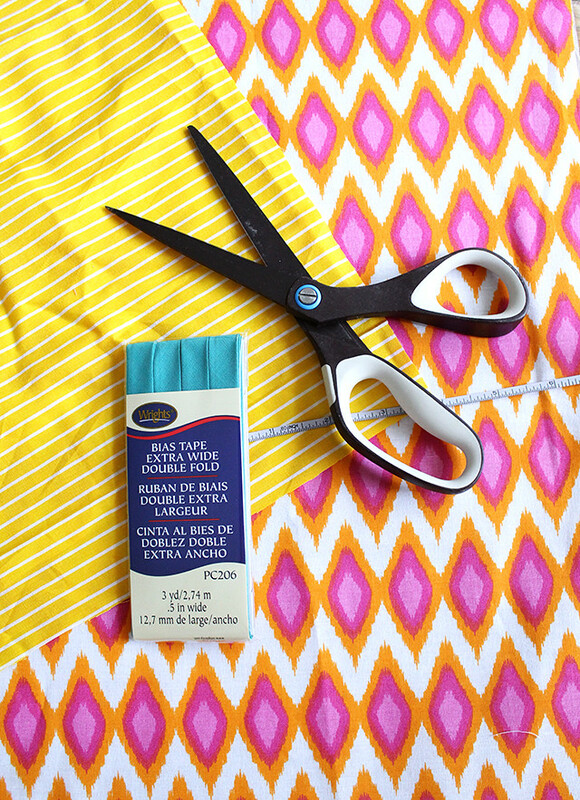 Cut out your fabric and clear vinyl to your desired size. Mine was about 17"x11". 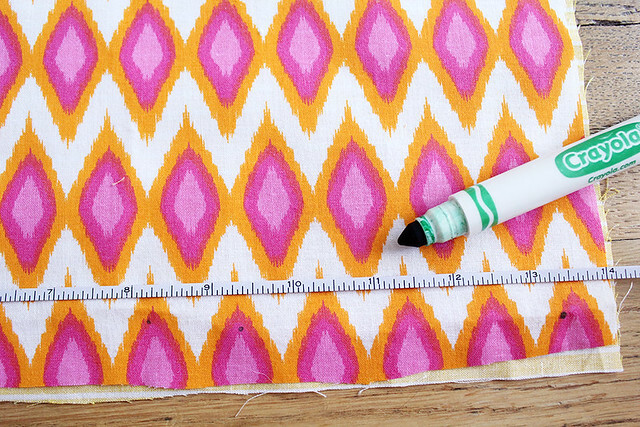 Mark where you'd like your pockets to go with a fabric marker or pencil. 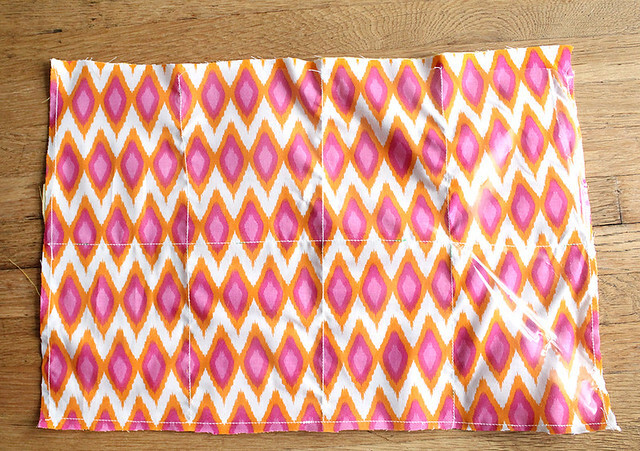 Layer the backing fabric face down, the top fabric face up, and then the clear plastic. 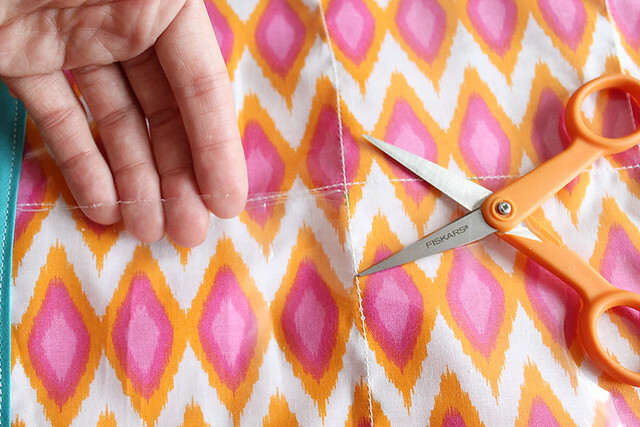 Sew around all the edges with your machine. **If you have trouble getting the clear vinyl to feed through your machine, here's a helpful tip I found online. Now, follow your guides and stitch your lines where your pockets should be. Try to keep your plastic as flat as possible. 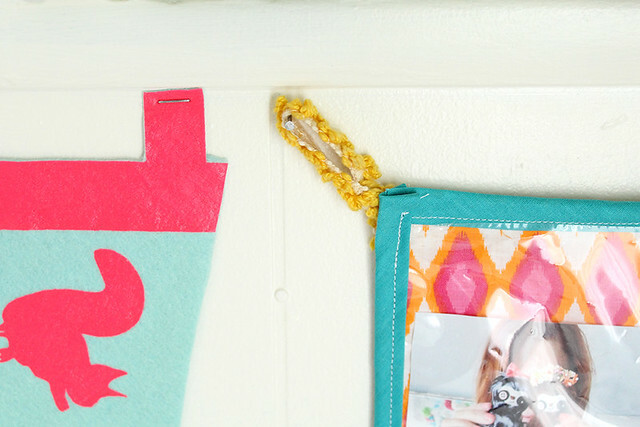 Once you have completed that, pin your bias tape all around and sew along the edges. This will give it a much more finished look. 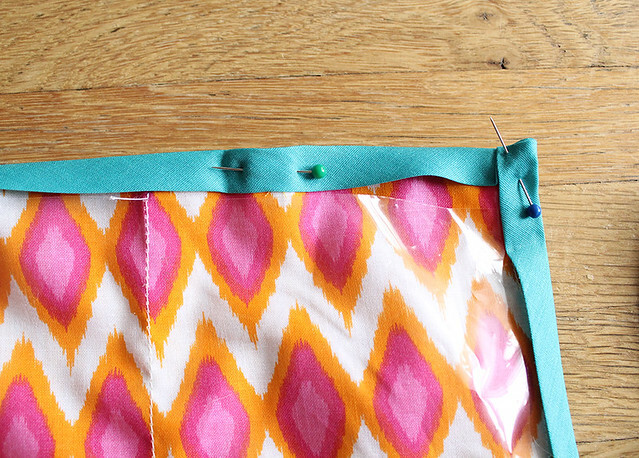 Cut just below your center stitching to open up the bottom row of pockets and add a little trim to the left and right corners for hanging! Now it's time for printing! 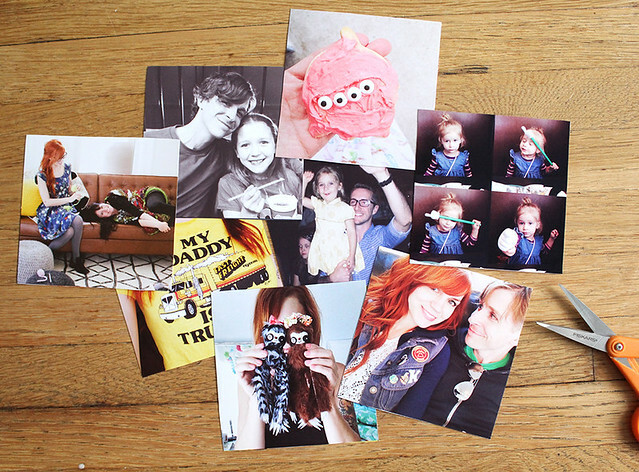 I used my PIXMA MG7120 to print a bunch of Instagram photos. Some of my happiest memories are IG pictures. I cut out the photos and put them on display! My desk is already looking much better! I love how easily I can switch out photos-- I'm planning to print out some extras and just rotate them whenever I need a bit of new inspiration! xo. this is such a cute idea! 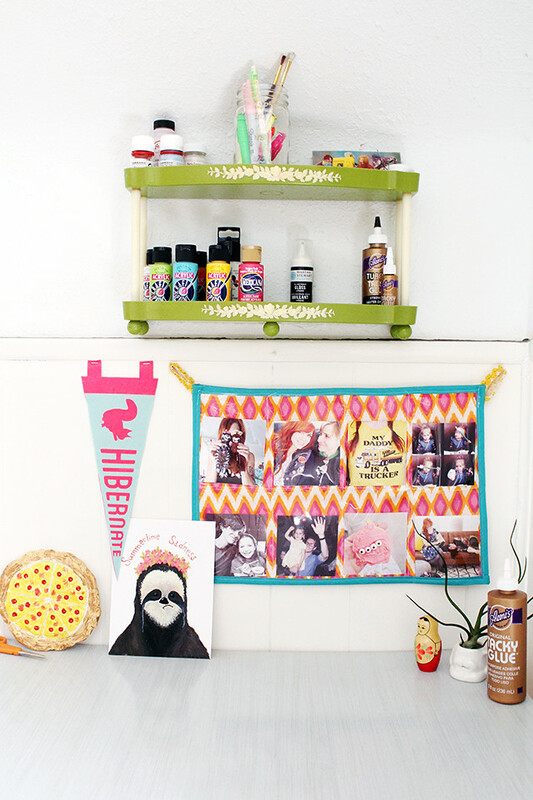 and i love that green shelf!! Such a cute and clever idea, Katie! I love it! very clever!! i love the fabric you used!! 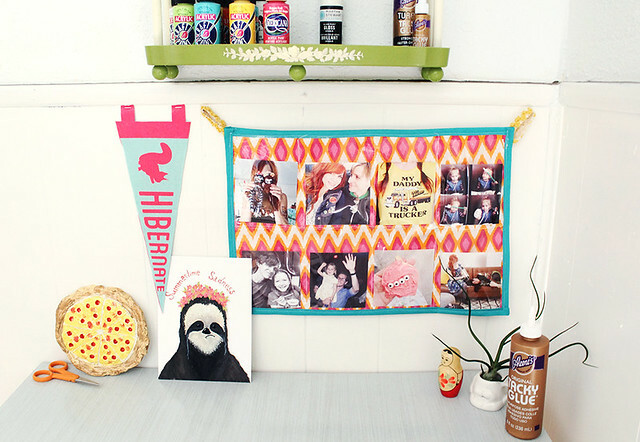 ps where did you get that adorable sloth print?? That's so clever! I like that you can rotate them so you can switch out photos. Genius! This is a great idea - I love the fact that you could put other things in the little pouches too, like memos or odds and ends. The fabric is so vibrant! Love this! Beautiful fabric. I think I might have to give it a go for my university room. I've got to decorate it some how or I'm going to be miserable at uni haha. Funny how when all the smiles and memories are digitized, we want some tangible, present reminders of those times. I've been toying with the idea of printing off my phone pictures and pasting them in a book just cuz, but this is a sweet looking variation! So perky. Unlike a book, you don't have to open it. Unlike a computer, you don't have to keep it plugged in or on.